January 25 American History Forum, Sarasota FL. The National World War I Museum located in Kansas City, MO is sponsoring a traveling exhibit, which will be touring the United States. We will inform you of the schedule as soon as it becomes available. 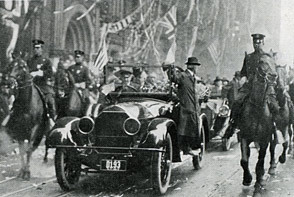 A crowd gathers on the streets of New York on May 9th, 1917 for Joseph J. C. Joffre, Marshal of France. 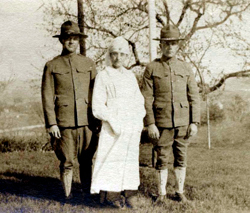 Frank Lapworth Davis, Amy Baker Davis, George Herbert Davis Worchester, MA.